Principal Cast : Gary Oldman, Kristen Scott Thomas, Ben Mendelsohn, Lily James, Ronald Pickup, Stephen Dillane, Nicholas James, Samuel West, David Schofield, Richard Lumdsen, Malcolm Storry, Hilton McRae. Synopsis: During the early days of World War II, the fate of Western Europe hangs on the newly-appointed British Prime Minister Winston Churchill, who must decide whether to negotiate with Hitler, or fight on against incredible odds. 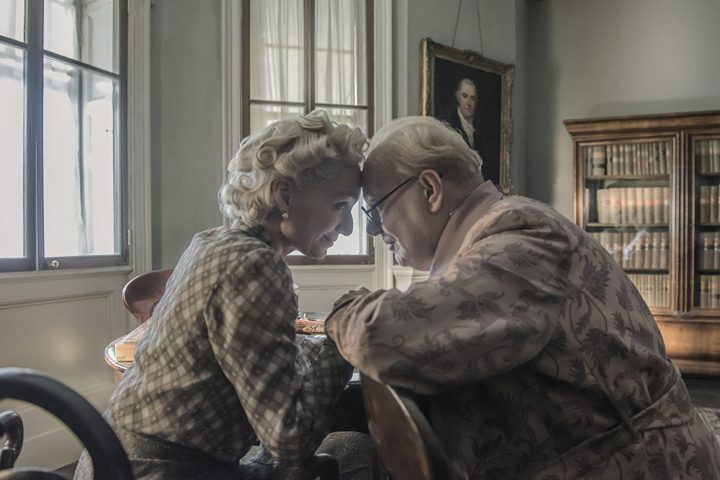 Joe Wright’s stately take on Winston Churchill is a fairly pedestrian drama wrapped in sumptuous production value and a commanding, nay career best, leading performance by Gary Oldman in the title role. 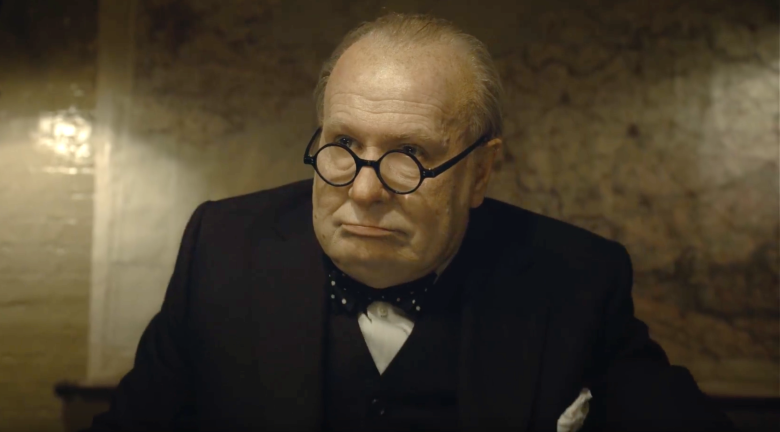 I wish I could be more effusive about the film as a whole, but in spite of Oldman’s astonishing transformation into the legendary British leader, recommending Darkest Hour on the strength of its narrative is about average, at best. 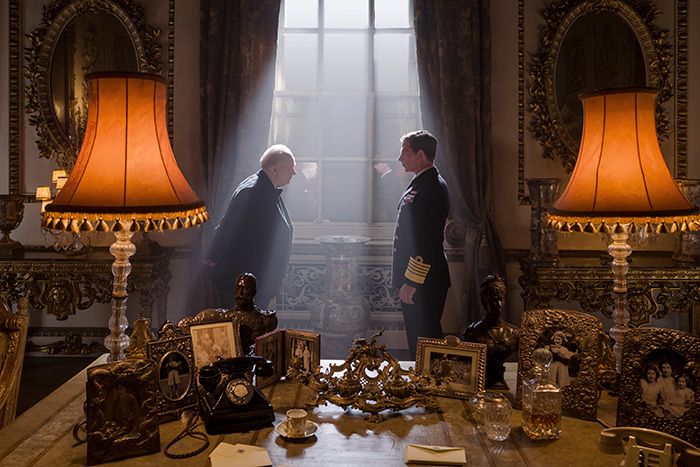 Darkest Hour mirrors in many ways the earlier 2017 Churchill film starring Brian Cox, reviewed here, which gave us a glimpse into the machinations behind Britain’s war effort in the 1940’s, when on the 10th of May 1940 Neville Chamberlain resigned as Prime Minister, paving the way for the elder statesman of UK politics to step up to the big chair. Although glowing love generally greets the name Churchill today, in his time he was seen as a polarising figure within Westminster’s corridors, to say nothing of Buckingham Palace’s upper echelons. Darkest Hour throws a soft-focused gloss on the depicted events, with Atonement helmer Joe Wright once more braving the monochrome horror of World War II and interjecting political intrigue between the bombs. The fascination with historical figures has drawn out many a terrific biopic over the years, from Gandhi and The Elephant Man right up to recent works such as The Kings Speech and Spielberg’s Lincoln, real-world figures of social, political or entertainment circles have had a stellar path up on the big screen. For the US, the focus typically focuses on political figures, namely the vaunted John F Kennedy, whilst across the ditch it’s typically the monarchy that curries favour with filmmakers of today – with Victoria, The Crown and varied films on the Queen and her ancestors, one wonders if she’s getting… er.. royalties from all these ventures – and as luck would have it, 2017 has seen fit to bestow two takes on famous wartime leader Winston Churchill upon us. Joe Wright, better known for his film version of Pride & Prejudice (with Keira Knightley), action flick Hanna, and more recently the critically eviscerated Pan, sees fit to tap the period drama of Churchill’s ascension into the highest office in Britain and his combative notions of how to fight and win a war. In every aspect of his life on screen, Churchill is presented as the ultimate British bulldog: scrappy, pig-headed and prone to outbursts of anger and frustration, Churchill nevertheless swayed the tide of British sentiment and rallied troops to assist the Allied forces in achieving victory against the Nazi scourge. Much of what transpires in Darkest Hour invigorates the mind with how politicised many of the decisions were, as if the men on the ground doing the fighting were nothing more than an afterthought (they weren’t, it just often seems like it) as Churchill doggedly pursues his agenda in winning the war. Wright directs from a very wordy screenplay by Anthony McCarten, who drags every possible historical touchstone from real life and shoehorns it into the film’s oppressively melancholy aesthetic. McCarten, mush like his counterpart Alex von Tunzelmann (screenwriter on Churchill), seems very much infatuated with Churchill the legend, using anecdotal fodder to pad out the man’s private personality. His use of actual speeches and public records account for the more bombastic Churchill, whereas some license has been used in Oldman’s repartee with his on-screen supporting cast in less public moments. 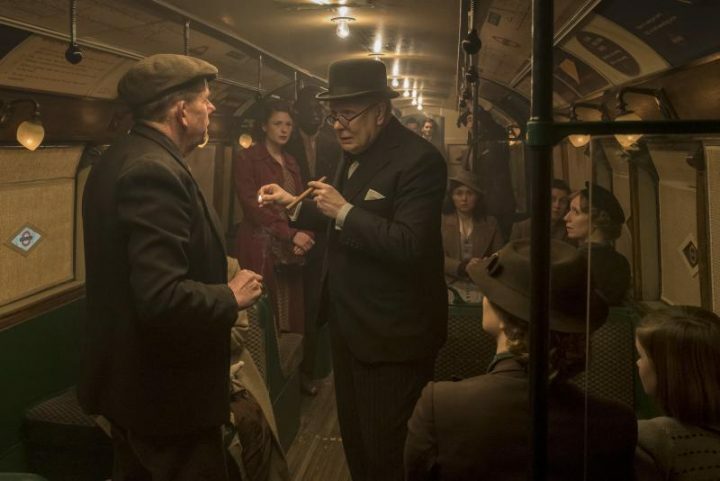 The film tries to be everything and all things to all people, from a slick political thriller, a dense investigation into what kind of man Churchill really was, as well as a broad-canvas wartime epic that never quite clicks. The trouble with Darkest Hour is that it fails to humanise Churchill completely, or at least well enough to make him accessible. Oldman, for all his considerable prowess, still feels like he’s doing the greatest impression of all time, and the film never manages to make us feel something for the man. Instead, we spend a lot of our time appreciating the reaction to him by others, which is a default for a biopic unable to really dig into the meat of what made Churchill so unique. Not for lack of trying, mind, but it’s a steep hill to climb and I think (to me, at least) the legacy and mythic nature of Churchill the political titan is nigh impenetrable in making him merely a man. Comparable to Oldman’s work in Immortal Beloved, a film about Beethoven, that gave the iconic composer a real depth and sense of legacy and truth, here in Darkest Hour neither Wright nor Oldman achieve the same. Naturally, Gary Oldman is spectacular in the role, thanks to prosthetic effects and a chameleonic approach to personifying the great man. 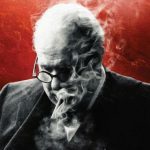 Oldman rants and raves and slurs and strides across the screen in a mesmerising performance as Churchill, redefining great acting and shifting the bar again for talent trying to emulate him. 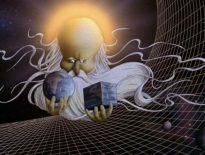 The material works well enough despite lacking insight into the man’s nature, and Oldman drags every element of nuance and crisp delivery he can from its expository overtones. 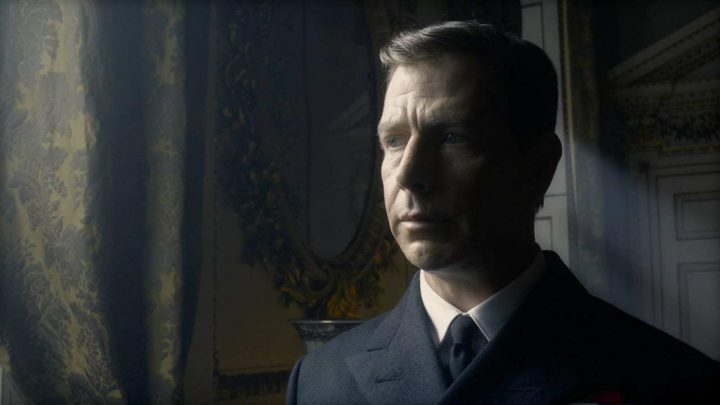 Oldman is supported by a terrific ensemble of talent, including Kristen Scott Thomas as Churchill’s wife, Clementine, Ben Mendelsohn as British monarch George VI, while notable roles to Lily James, as a secretary to Churchill, Stephen Dillane as Edward Wood, and Ronald Pickup as Neville Chamberlain, keep the focus rooted in the tension and intrigue of the times. There’s few who could doubt the prestige of Darkest Hour, and it would be hard to impress how disappointed I was with it considering the talent involved in front of and behind the camera. It’s not a bad film, heck it teeters on being a great film in places, but the inescapable coolness towards its central character robs crucial emotional depth to the overall narrative. 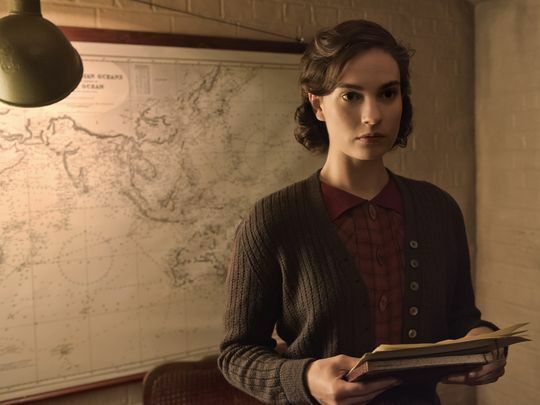 History buffs will appreciate the production value and attention to detail the film offers, while Oscar-nominated cinematographer Bruno Delbonnel, together with Academy Award-winning composer Dario Marianelli, provide a rich tapestry of visual and aural accompaniment, and the recreation of the London-based war rooms and period-era establishments is first-class. Wright’s direction is solid, although hardly above the standard of a semi-decent midday movie in terms of creativity and flair (not that a film like this needs flair, but cinematically there needs to be some oomph to sell a talk-fest to modern audiences) and the film’s retelling of history is exciting if not altogether steadfast. Darkest Hour is good but not great, Oldman is fantastic but underserved by reactionary writing, and there’s much to be mined here in terms of exploring the rich history we’re afforded by records of the time.